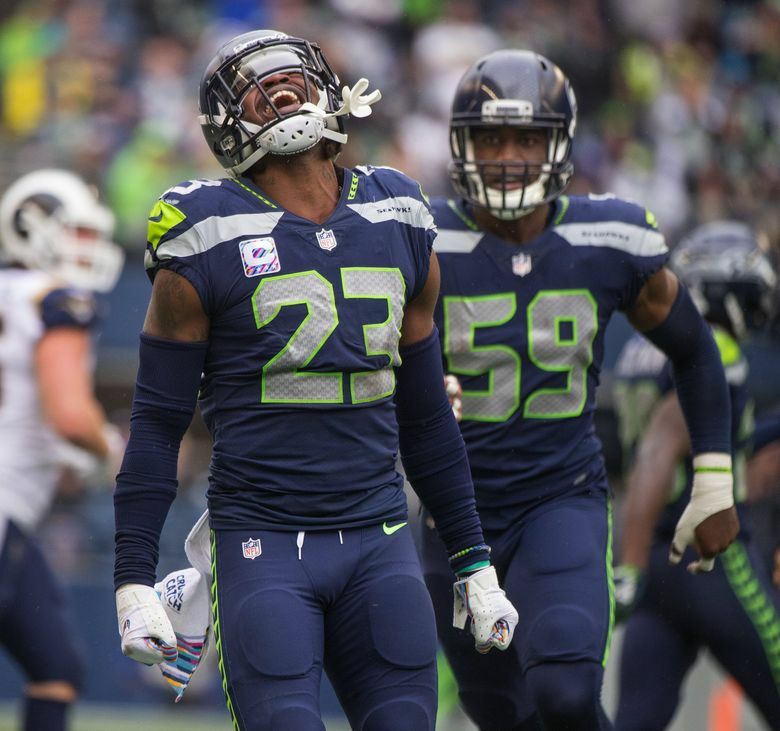 Veteran cornerback Neiko Thorpe has re-signed with the Seahawks, team officials announced Saturday, keeping one of Seattle’s better special-teams players in the fold for another season. Thorpe has been with the Seahawks since 2016 and while he has played sparingly as a cornerback — he had 29 defensive snaps last season — he has been a core special-teams player. He played 266 special-teams snaps last season, third most on the team according to Pro Football Reference, behind the 373 of Barkevious Mingo and 279 of Jacob Martin. Thorpe, 29, was also a special-teams co-captain in 2018, as voted by teammates, along with kicker Sebastian Janikowski. Thorpe’s re-signing means two of Seattle’s 13 unrestricted free agents are unsigned — Janikowski and defensive end Dion Jordan. Thorpe is the fourth to re-sign with the Seahawks, the others being linebackers K.J. Wright and Mychal Kendricks and guard D.J. Fluker. The team placed a franchise tag on defensive end Frank Clark so he would not become a UFA. Thorpe’s re-signing gives the Seahawks seven cornerbacks on the roster, the others being Shaquill Griffin, Tre Flowers, Jeremy Boykins, Akeem King, Kalan Reed and Simeon Thomas. The Seahawks typically keep five cornerbacks, so they already appear to have a competitive group, though they could well add to it in the draft and/or with undrafted free agents. The team appears to be selective in its signing of outside veteran free agents so it can try to maximize its chances of getting four compensatory picks in the 2020 draft. Griffin and Flowers return as the starters at the two outside spots — left and right, respectively — while Reed and King loom as the leading contenders to help replace the departed Justin Coleman (who signed with Detroit) as the nickel back. King, who has also played some safety in his career, also could help there and as an outside corner. Thomas, who at 6 feet 3 is tied with Flowers as the tallest corner on the roster, projects more as an outside corner while Boykins could be used both in the slot and outside. Thorpe probably projects to try to earn the same role as in the past — a backup primarily on the outside spots and a core special-teams player. The Seahawks re-signed King, who could have been a restricted free agent, to a one-year, $1.4 million deal before the signing period began, indicating their desire to keep him on the roster. King had some standout moments working in a specialty defensive package in the late-season victory over Kansas City, assigned to specifically cover Chiefs tight end Travis Kelce.